A teenage boy suffered life-changing injuries after being stabbed in a violent attack. 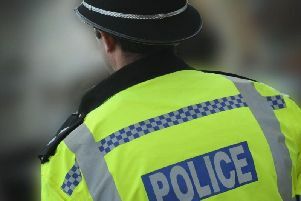 Police said the boy was attacked by three men at a home in Fitchet Close, Langley Green, Crawley, on Sunday evening (March 4). One of the men entered the property at about 8pm and the boy sustained a serious wound to his forearm which required surgery. It is believed his tendons and nerves have been damaged. A 51-year-old man and a 47-year-old woman at the house were also injured. Police said the suspects left the area in a vehicle, believed to be an Alfa Romeo. A 20-year-old man from Crawley has been arrested on suspicion of money laundering and drug offences. He has since been released under investigation. Anyone who saw what happened or who may have other information is asked to contact police online or call 101, quoting Op Phantom.